**Conditions apply. Please mention this website offer when make a booking. Offer subject to change without notice. If you have any questions, speak to one of our friendly staff on (02) 8090 1107 or (02) 6247 0224 or e-mail us at info@civicgentledentalcare.com.au or visit us in person at Suite 8, Lvl 3, 161 London Circuit, Canberra City ACT 2601. The purpose of a dental crown is to provide cover for a tooth so that no fractures are likely to occur. Fractures and cracks frequently happens to teeth with large existing restorations, as well as teeth that are subjected to excessive loading such as seen in sleep grinders/clincher’s. In cosmetic/aesthetic dentistry, crowns are often used to improve the long term anatomy and shade of a tooth. Crowns can be made from different materials. We provide all metal crowns (Steel finish or gold finish), Porcelain fused to metal (tooth coloured with a metal alloy coping inside) and all ceramic crown (tooth coloured). All the above materials are well tolerated by cheek and gum. We design our ceramic crowns in-house using modern CAD/CAM technology where 3D images of the teeth are loaded on to the SIRONA-CEREC software and crowns are milled by computer operated machines in less than 10 mins. This technology has been used on more than 8 million patients worldwide and more than 25 million ceramic restorations have been created and placed. Our metal crowns are done in two visits. Dentists prepare the tooth, take impressions and send the impressions to highly experienced dental technicians in Sydney and Melbourne where crowns are made. They are cemented in the second visit. Full-metallic crown: Gold alloys are one of the most commonly used materials at Civic gentle dental care. Known for its high malleability, ductility and biocompatible nature, gold alloys are very friendly to tooth. There is minimal amount of natural tooth structure taken off during preparations for gold crowns. Other metal alloy crowns using non precious metals are also available. Porcelain-fused-metal (PFM) crown: to improve the aesthetic of a metallic crown especially in anterior/front teeth, dental technicians can place ceramics to cover the metal to give it a tooth-like aesthetic. It has been in use in dentistry for a very long time. Ceramic crowns: are typically made of high-strength medical grade ceramic (modified glass +lithium disilicate). These are one of the favourite crowns done at our practice. 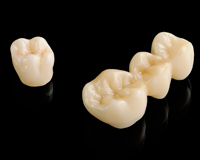 At Civic Gentle Dental Care, we utilise the latest chair-side CADCAM technology to provide precision fit dental crowns. The accuracy of such restoration is within microns of discrepancy, making them some of the most precision fitting restorations available to dentists. We offer Vita and E-max crowns at our surgery. Zirconia crowns: made out of Yttrium stabilised zirconia polycrystals; these crown are one the strongest available crowns of modern times. These are laboratory made crowns and need two visits for completion. 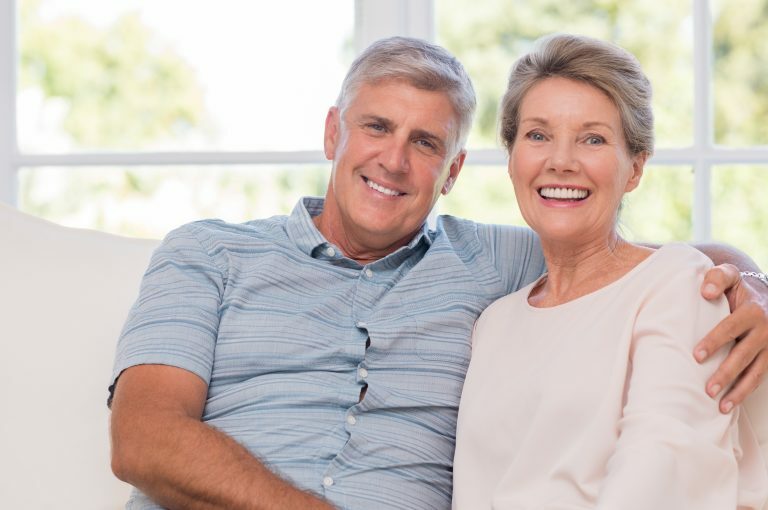 In our clinics, we are confident with our dental crowns that as long as the patient routinely visits a dentist to ensure good dental hygiene, we are happy to replace any dental crown that fractures within 5 years after its placement. Most labs are not prepared to do that. Most dental practices require patients to make two to three visits because the moulds need to be sent off to a dental laboratory to construct the crown. At Civic Gentle Dental Care we make our crowns at our practice. This enables us to reduce the extra cost associated with laboratory fees and also ensure that the quality meets our high standards. It also benefits our patients by allowing the entire dental procedure to be completed in one visit. Our experienced and friendly Dentists will explain the process with you and you can watch your dental crown be made with our advanced Dental Crown technology equipment at Civic Gentle Dental Care. There are many restorative options available to help you achieve the smile you would like. At Civic Gentle Dental Care our experienced dentist will discuss with you entire options and help tailor your personal treatment plan that provides the best outcome related to your individualised goals. If you have any questions, speak to one of our friendly staff on 02) 8090 1107 or 6247 0224 or e-mail us at info@civicgentledentalcare.com.au or visit us in person at Suite 8, Lvl 3, 161 London Circuit, Canberra City ACT 2601. The Australian National University only takes around 4 minute drive to Civic Gentle Dental Care. Head northeast on North Rd toward Barry Dr then turn right at the 1st cross street onto Barry Dr and continue straight to stay on Barry Dr. Use the right 2 lanes to turn right onto Northbourne Ave/A23 and turn left onto London Circuit. That’s it and you will find us on the left side of the road.